I can't boycott a company that I never bought from. 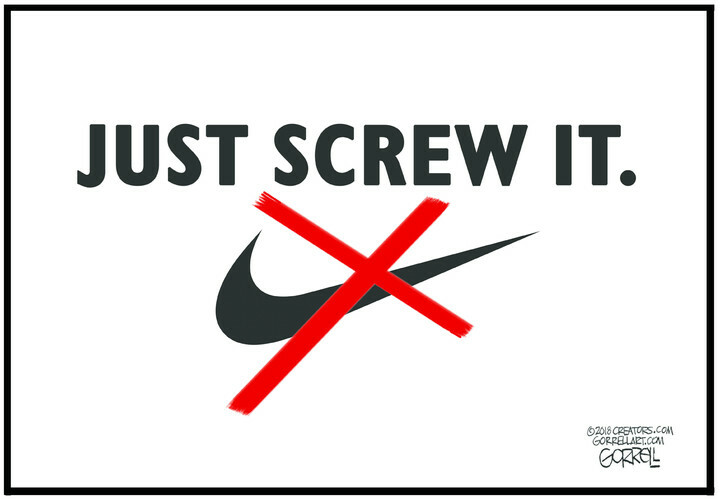 Even before they signed Krapperdick, there were plenty of reasons not to buy Nike products, made in sweat shops overseas. New Balance has a line of shoes made in America. They come in wide widths and they last for years. Levi's has announced that they are donating millions to gun control causes. That's another company that I cannot boycott because I already stopped buying their crummy product years ago.